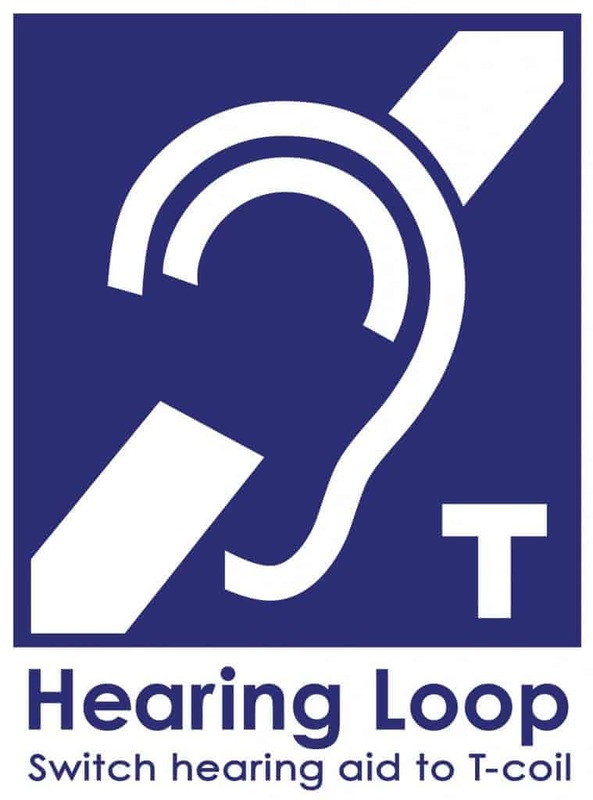 A hearing loop is a wire connected to an electronic sound source that transmits that sound to the telecoil in a hearing aid or cochlear implant. A loop can discreetly surround a room, a chair in your home, or even be worn around the neck. Hearing loops can be connected to a public address system, a living room TV, a telephone (land line and cellular), or any source that produces sound electronically. A hearing aid and most cochlear implants equipped with a manually controlled T-Switch is all that is required to hear in a hearing loop. The telecoil or T-coil receives the signal from the loop and turns it back into sound in the hearing aid, eliminating the background noise. If you currently wear hearing aid(s) and are not sure if they have the telecoil option, compatible with hearing loops, please contact us.